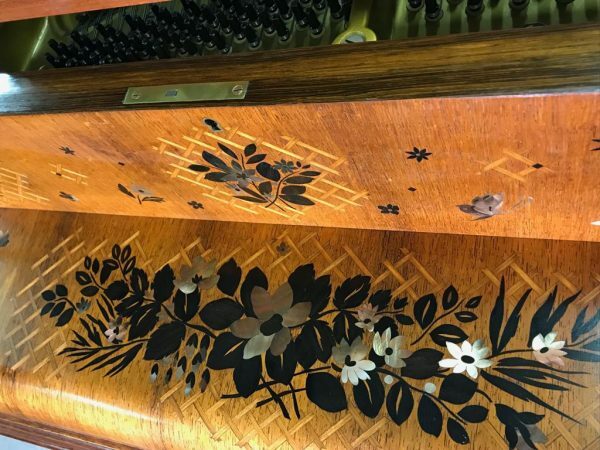 Using veneers of walnut, rosewood, ebony and Decorated floral patterns applied using Mother of pearl. 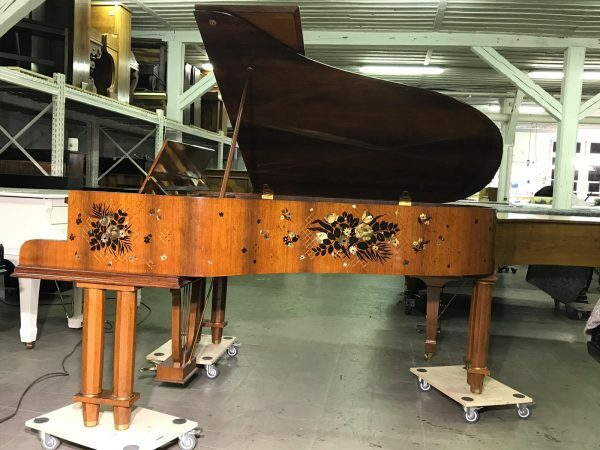 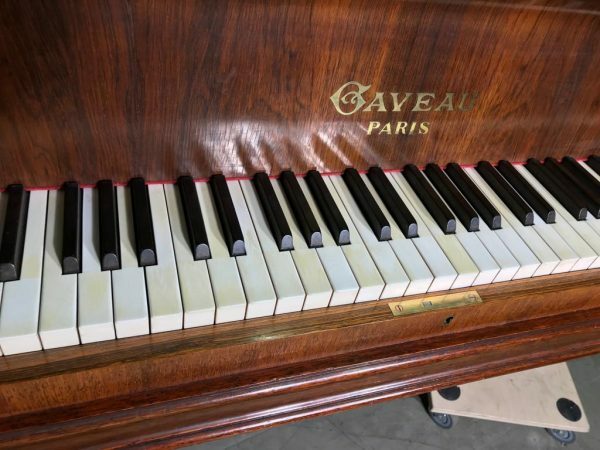 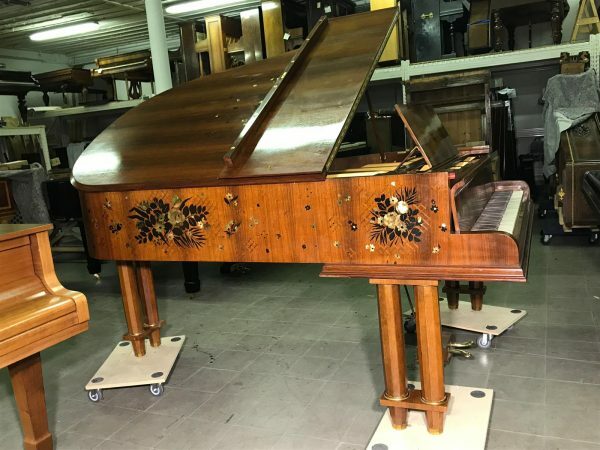 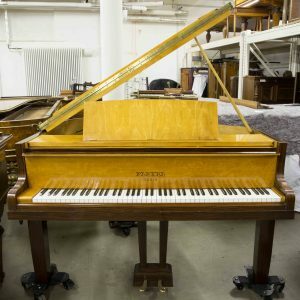 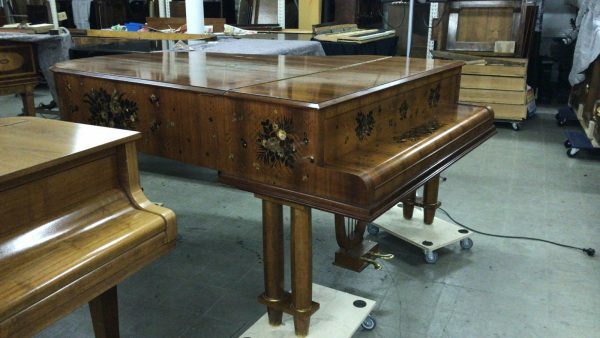 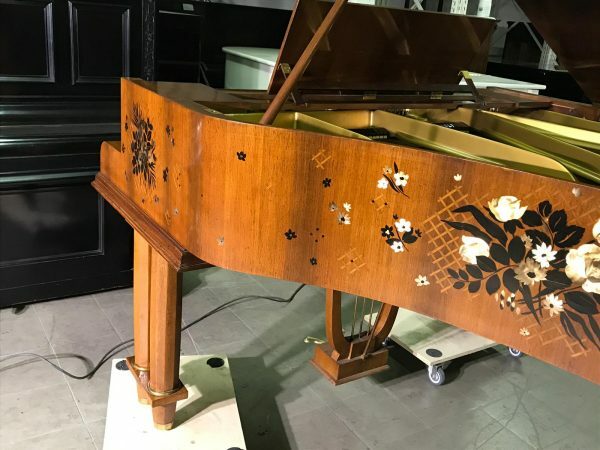 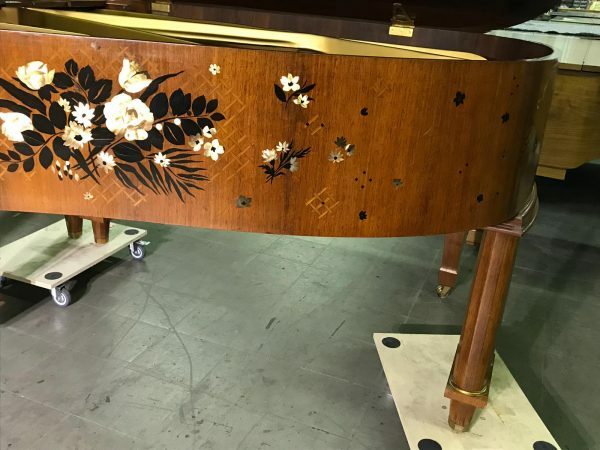 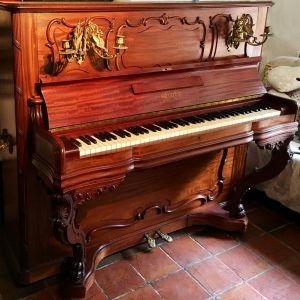 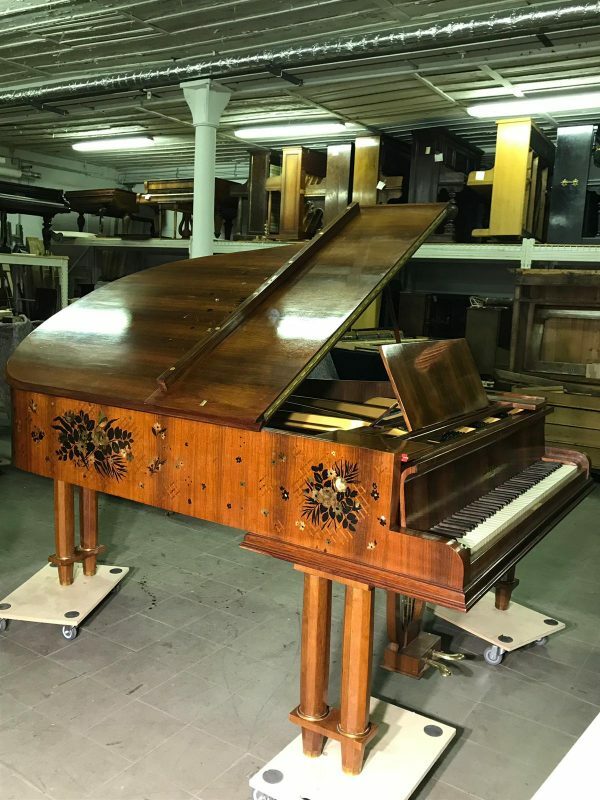 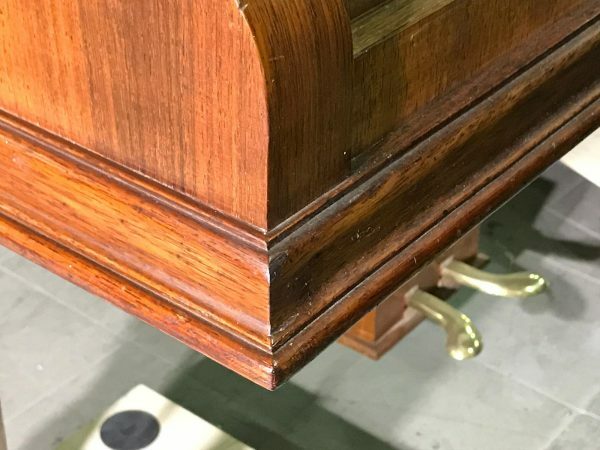 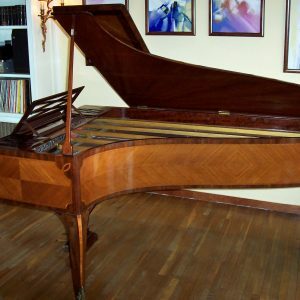 This piano is being offered with full restoration of case and mechanical parts. 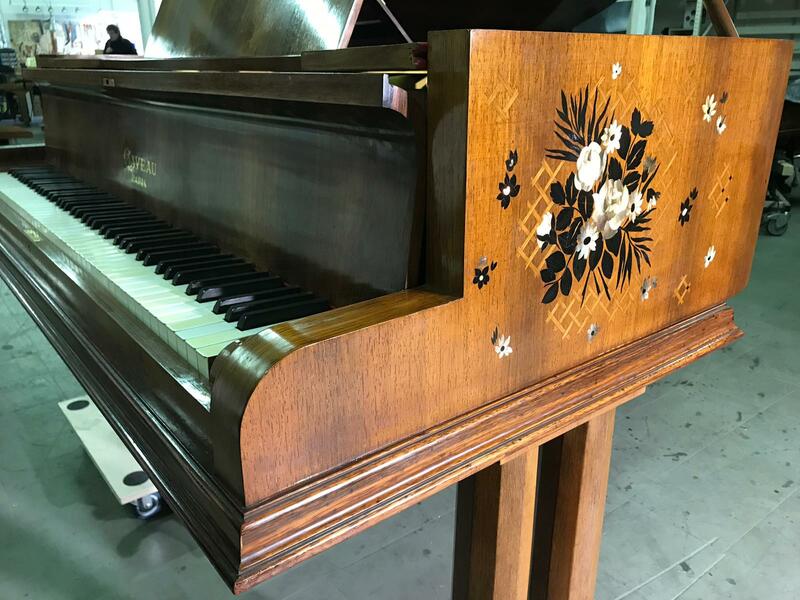 Also this piano comes with a letter from the Grand- Daughter of Jules-Émile Leleu showing the piano was kept within the family since it was created. In 1901 he and his brother, Marcel, took over their father’s painting business and Jules began working as an interior designer. 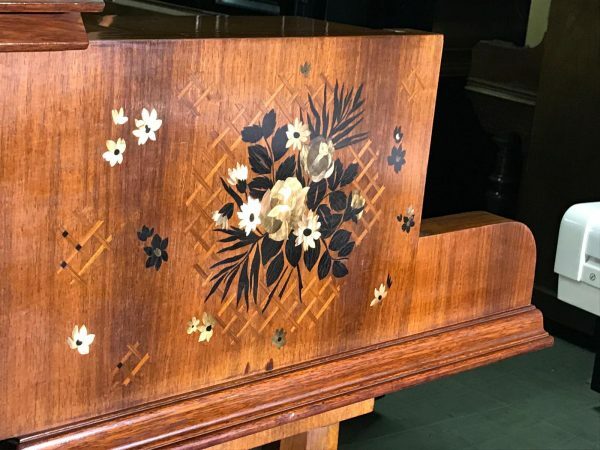 Shortly after World War I, Jules opened his own interior design studio and furniture workshop in Paris, while also maintaining his cabinetmaking workshops in Boulogne through the 30s. 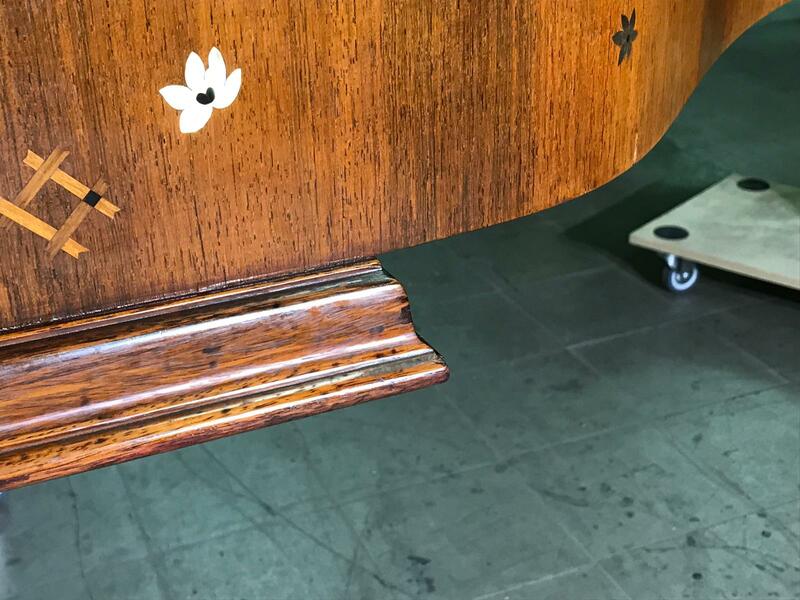 His design aesthetic moderated over time, from the neotraditionalism of his 1920s work, including his presentation at the pivotal L’Exposition internationale des arts décoratifs et industriels modernes in Paris – to more simple lines and techniques in the 1930s and a return to a more decorative, but reinterpreted style in the 1940s. 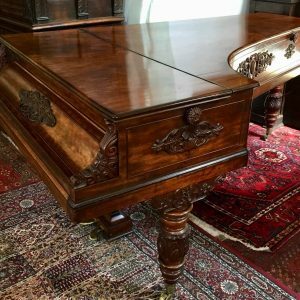 Leleu received numerous government commissions for official and semi-official decors, French embassies, and civic and royal residences. 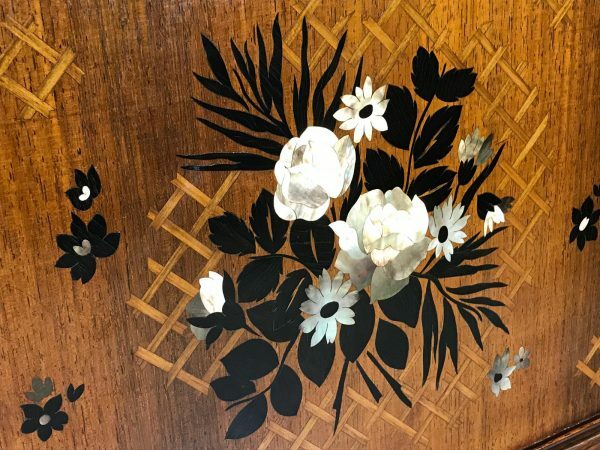 He designed interiors and suites for more than 20 of the great French ocean liners including the Ile-de-France, Atlantique, Normandie, and France. 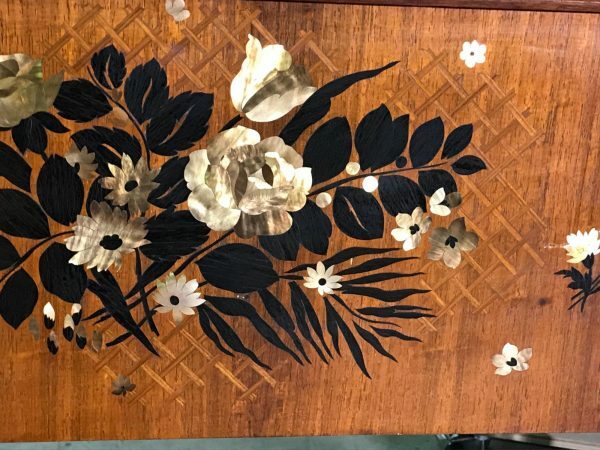 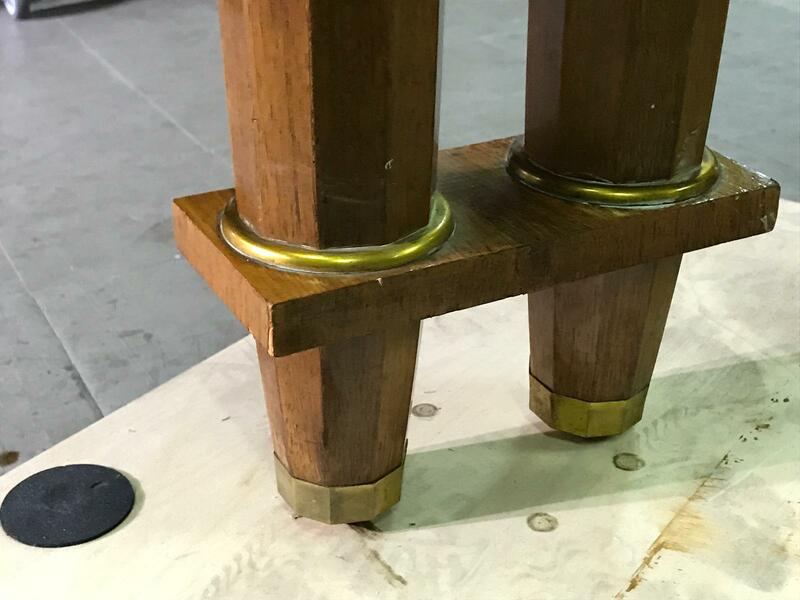 The Kardashian Family uses pieces of Leleu Furniture described in their interview of their redecorated California home.